Yesterday, EcoTech Marine released what they are calling a “significant update” to their EcoSmart Live software, the web-based platform that allows users to control their Radion LED fixtures. After months and months of beta testing, and after tons of customer feedback of course, the EcoSmart software is said to have gained improved stability, simplicity, and functionality. Numerous bugs have apparently been corrected as well, and for the first time, EcoTech Marine has become confident enough in the software to release it to anyone and everyone who wants to utilize the tool, though it will still only be available as a beta program. Single Schedule Programming – Artificial and Natural Mode are no longer simultaneously programmed to the Radion. Only one schedule is programmed to the Radion, but both artificial and natural are still available. This improves programming speed. 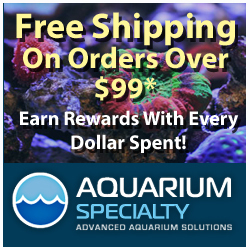 Aquarium Setup Wizard – effortlessly takes you through the process of identifying and grouping Radion LED lights. New Pre-Programmed Lighting Schedules – Seven pre-programmed schedules including High Growth Schedule and Deep Color Schedule. Improved Schedule Creation – Improved tools to design and export your own custom schedules with other Radion owners. Share with friends. Lunar Cycle – A basic lunar cycle is now possible which will vary your moonlight schedule along the natural lunar cycle. Acclimation Mode – Acclimate your aquarium to your Radion lighting effortlessly over a set amount of time. Release Notes – located in the lower right corner of the ESL screen lets you know what’s new. These are all much needed features for the Radion platform, and we’re particularly excited about the new “Acclimation Mode”. Too often have aquarium keepers burnt new corals because they either forgot to scale back on the lighting or intentionally left that part out because it’s just so daunting sometimes. To access the ESL software from EcoTech Marine, please visit the EcoSmart Live webpage.